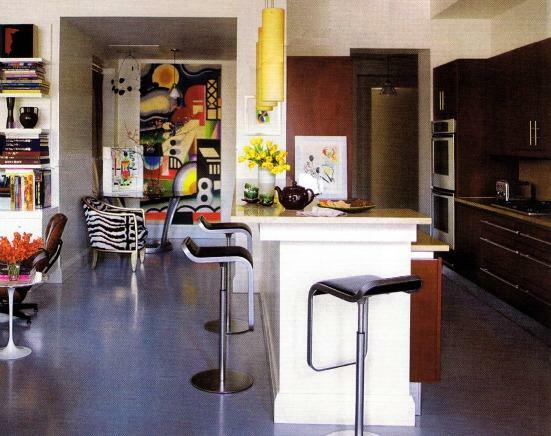 I was tickled when I saw in this month’s ELLE DECOR issue, an article about Kazumi Yoshida’s loft in New York. Yoshida, artist and textile designer that works for Clarence House , dares to use striking color and most definitely understands the Animal Print effect. 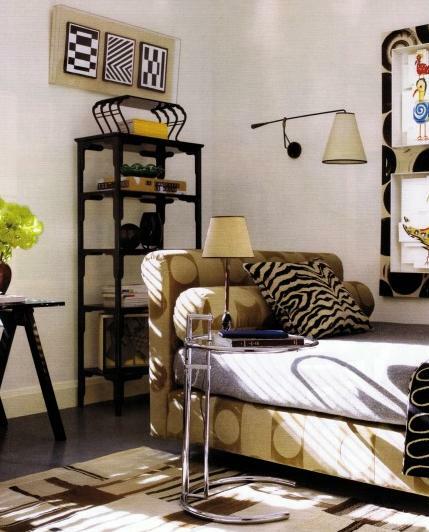 He has a Zebra print accent in every room! 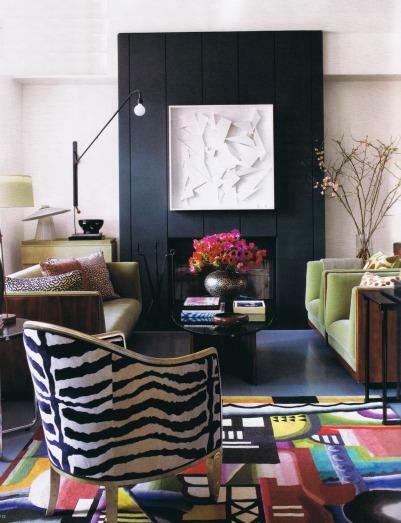 I love his loft’s clean lines and simplicity, and I adore his playfulness with color and pattern. 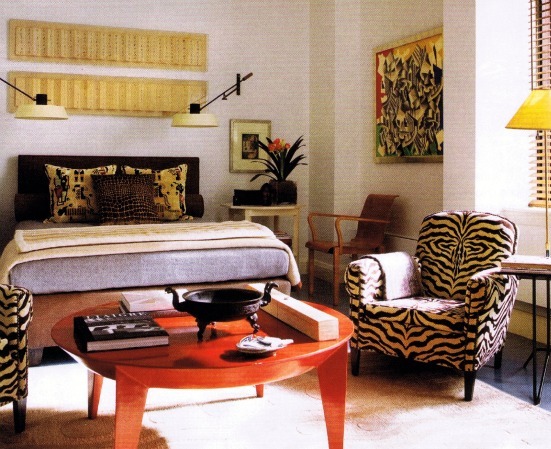 The bold presence of Zebra print underscores again and again every room’s aesthetic perfection. Any thoughts?